Men need to also take good care of their hands and feet. 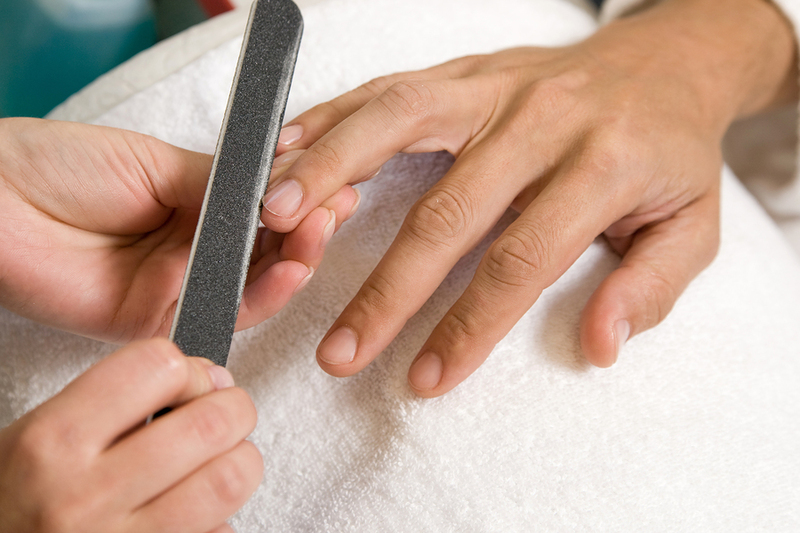 Our Manicure and Pedicure services offer you the most relaxing atmosphere with an elegant finish. The foot care treatment is very important especially for men because they are very active physically, they engage in a lot of sports activities, they sweat a lot making them prone to fungal nail infections and ingrown toenail. This is why we have thought of it all, at Beauty for Men Spa & Care Center, during the pedicure session, a foot massage is offered to enhance blood circulation because men are prone for varices which might lead to clots in the feet. Unlike women who have their period on a monthly basis enhancing their blood circulation and decreasing their blood pressure, men need to regularly engage in massages to help blood circulation in their body.